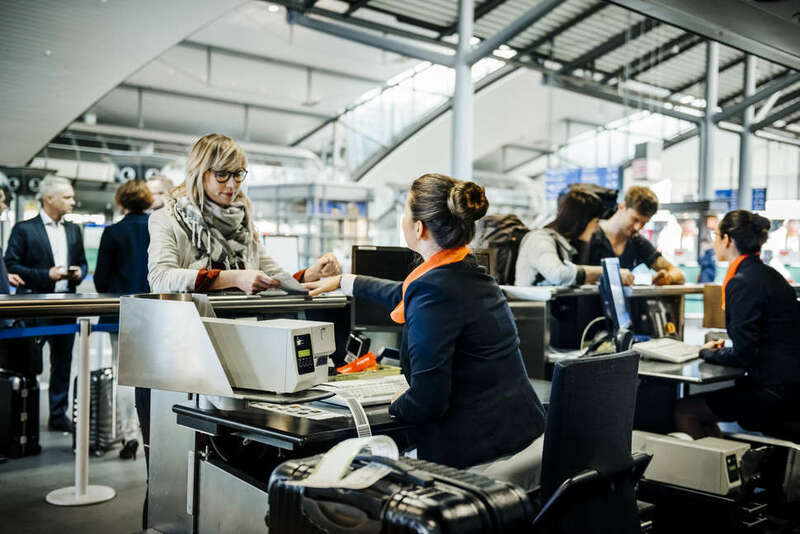 The airline industry employs a variety of self-service technologies (including kiosks and web check-in services) that can increase efficiency and save time for passengers, mainly due to the fact that air passengers can complete their check-in procedures by themselves. Since the self-service check-in has not been widely utilized in Taiwan, this study mainly investigated factors that influence the willingness to pay (WTP) for choosing counter check-in services. Due to a large portion of our survey air passengers (58.5%) being unwilling to pay any fee at all, the spike model was adopted with a triple bound dichotomous choice survey in order to avoid estimation errors. Two types of trip lengths, short and medium/long, were investigated to gain insights into the effects of distance on the willingness to pay (WTP) for choosing counter services. The estimation results showed that the WTP for medium/long distances was higher than short distances. These findings could be used to guide managerial strategy as well as future research.